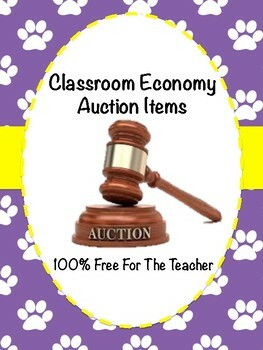 A set of 12 free for the teacher auction items such as listen to music during work time in class, choose your own seat for a week, 1 free no homework pass. 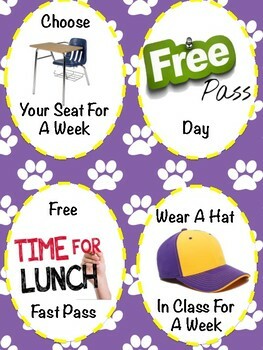 Print these passes out in color, laminate them and let the bidding begin:) These are also great to use in a school store. 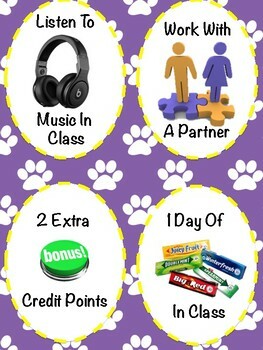 I use these with my classroom economy. 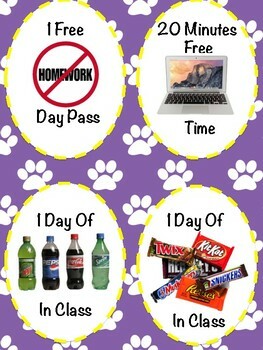 Please make sure that you clear the pop, candy, gum incentives with your administration.